This is one of my favorite summer recipes, it’s perfect for when the weather is scorching hot. 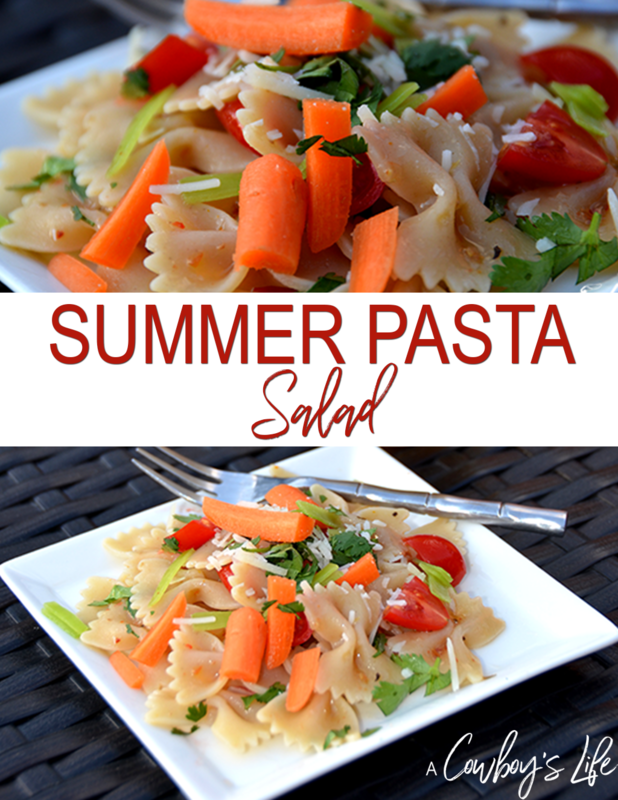 This summer pasta salad is a simple and light recipe that is easy to make and oh so delicious! Cook pasta, drain and rinse with cold water. 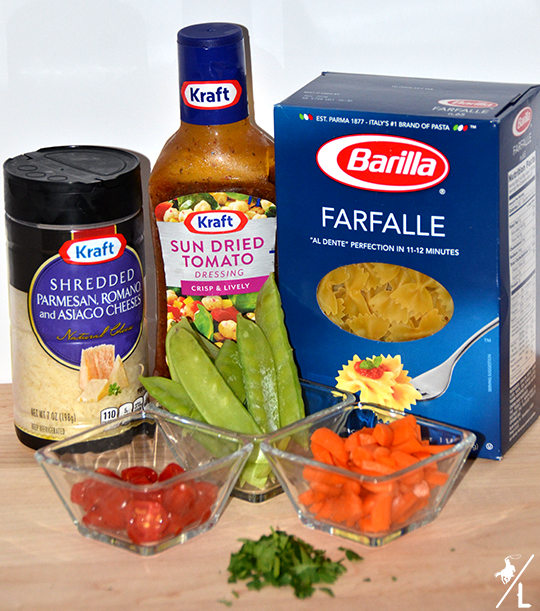 In a large bowl mix the pasta with remaining ingredients. Refrigerate for 2 hours before serving. *I always add a little more dressing right before serving so it’s nice and juicy. This looks delicious and so easy! I will pin this for when potlucks coincide with busy days 🙂 Thank you! This looks so yummy!!! 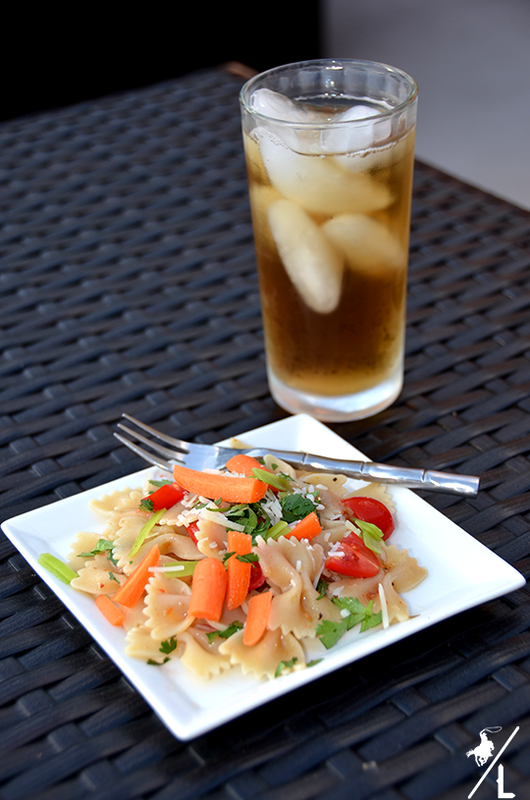 Pasta salad is so amazing when it's too hot to do any other cooking!!! I love these types of recipes! Yum! I can definitely see why this is one of your favorites. It's so light and simple. 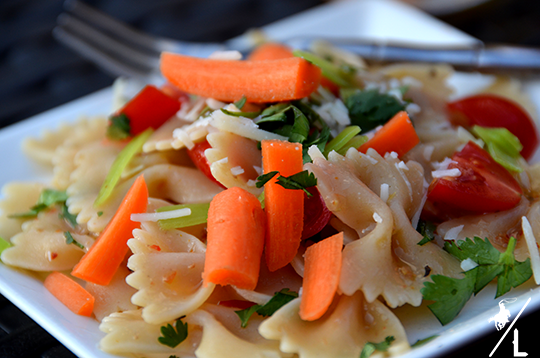 Crunchy vegetables in a pasta salad is such a summer taste in your mouth! 🙂 Thanks so much for sharing this recipe with us at the Creative Style Linkup! It looks so tasty, it's great for these days. Wow, looks so delicious and summery! This looks like the perfect summer salad – easy and refreshing. I love that you added sun dried tomato dressing. Thank you so much for stopping by the Four Seasons party and sharing!! Yes, I think that is my new favorite dressing! I love pasta salad! Can't wait to try this one. Thank you so much for linking up at Tasty Tuesday! Your recipe has been pinned to the Tasty Tuesday Pinterest board! Please join us again this week! love this, pasta salads are among my fave summer things to eat! Love the snap peas in there! 🙂 Thanks so much for sharing on Wined Down Wednesday! I love snow peas but never think to put them in salad. This looks great! That pasta salad looks great! I absolutely love cilantro, makes anything taste good! This looks perfect, I love all the fresh veggies you included! Delicious AND healthy! I love this. It looks so refreshing! A fresh summer pasta is perfect for a picnic! Thanks for the recipe!